GIRVIN is a strategically-integrated, holistic design firm based in Seattle, Washington with teams in active alliance in NYC, San Francisco and Tokyo, Japan. We weave business intelligence, strategic foundations with tactical deployment to create and design meaningful, memorable and magical brands — products, stories and experiences that people don’t forget. We like to talk to people eye to eye. We come to you. We want to see and feel more—to learn and embrace the personality of our clients’ brands. We craft stories from the emotion, characterization in the soulfulness of each brand. We believe in brand soul, leadership spirit, designing wonder and creating memorable spectacle. We touch people more, hand-craft, and listen-up, lean-in deep. We talk, study what’s happening; and we engineer break-away and uncomfortably fun and challenging client workshops. These kick-starter workshops, our BrandQuest® charrettes, are questioning sessions for brand archaeology: they excavate treasures, beautiful ideas and messages, align team and embolden team culture. Our workshops facilitate change, organization and growth for brands and their business. 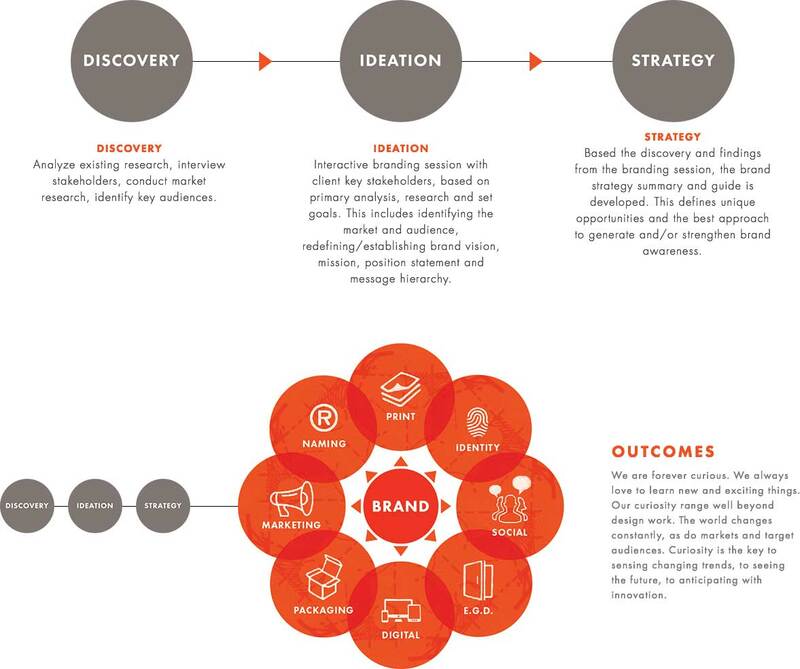 To the holism of brand experience design — what we call experientiality we integrate a coded system of genetic attributes that we provide as a carry-forward design and marketing communications tool, a kit of BrandCode® elements. In the management of a layered, 360º holistic spherical brand management system, we use our tactical structuring of TransparentDesign® — integrating the elements of strategy and whole thinking to build sensate brand exposures.